Steamboat Springs continues to thrive each year as a family-oriented and friendly town, and judging by the continual growth in the resort market, it also remains one of the most intriguing real-estate markets of its kind. When you compare Steamboat Springs against the other major players in the resort real estate market, there is no doubt that there is steady growth. While each of these various towns throughout the USA offer positive aspects when it comes to purchasing real estate, there is a reason that Steamboat Springs continues to show growth faster than most. Below are the various resort towns to purchase homes, and what makes each of them unique. 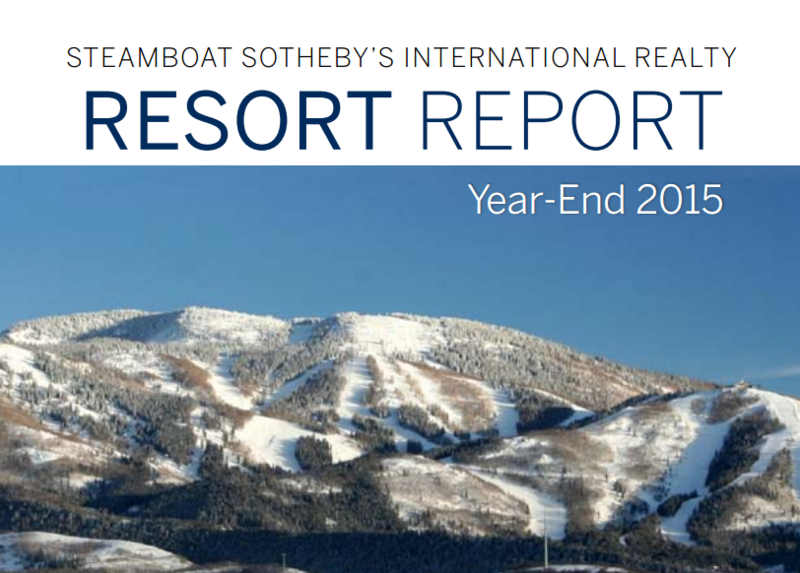 Keep reading to find out why Steamboat Springs is THE premiere location for anyone looking to invest in a home, condo or property compared to various other ski resorts. Colorado continues to offer some of the best resort real estate markets in the country. From 2014 to 2015, however, some of these resort towns saw changes in the number of homes sold. For example, Crested Butte, Colorado saw their overall market grow by 9 percent, with land sales increasing by 56 percent. Aspen, Colorado is another popular location that is at the ultra-luxury end of the real estate market. There continues to be a shortage of inventory for properties in this region and although that is a good overall sign, it makes it difficult to find particular land or homes within a reasonable budget. Vail Valley, Breckenridge and Telluride, Colorado are also well-known resort real estate markets in Colorado. Vail Valley has been an iconic location for years, and hosted the 2015 FIS Alpine World Ski Championships. It’s a classic ski town with dining, shopping and fine art galleries. Altogether the outlook for 2016 remains positive for the market there. Breckenridge, Colorado, offers a more laid-back appeal and quaint Victorian charm. Only a 90-minute drive from Denver, it’s a great choice for those who still want to maintain a sense of closeness to the city. As for Telluride, it started as a mining town in the south-western corner of the state. The 1970’s began its reign as a ski resort town, and it is valued highly for its natural beauty and focus on outdoor activities. 2015 saw a minor decrease in the volume of homes sold, but it could trend upward for 2016. Lake Tahoe is one of the premiere skiing destinations in the country, and offers year-round excitement and recreation. Many of these properties are located close to at least a dozen different ski resorts; Lake Tahoe also sees 300 days of sunshine a year. With a beautiful lake at the center of it all, the downside tends to be homes being sought at a higher price. Great for a seller, but a bit tough if one is looking to purchase. Sales growth is projected to rise in the luxury sector for 2016, so it will be an interesting year for this location. Park City is a world-class skiing location, along with plenty of unique features, such as being home to the Sundance Film Festival. It is remote enough to appeal to those looking for a getaway, yet also relevant enough to warrant a rise in interest over the past year. The market looks to continue to grow with a reduction in the overall number of days that properties are expected to remain on the market. With the most skiing terrain available compared to other locations across the United States, Big Sky, Montana is a great location in the Rocky Mountains. It offers numerous outdoor activities such as whitewater rafting, fishing, as well as a variety of dining and entertainment options. The downside is that it is a tough market, as there hasn’t been that many newer homes built in the area. It will be interesting to see how 2016 pans out for Big Sky. Jackson Hole, Wyoming offers a really thriving art and cultural scene, and it is placed in a beautiful region of the Tetons in the western part of the state. Jackson Hole has seen a significant surge in terms of their overall real estate market going from 2014 to 2015. It offers two of the top ski resorts in the nation, and there seems to be an increasing interest in this location each year. Santa Fe is one of the more unique locations when it comes to real estate near ski resorts. Along with its diverse cultural scene, the air quality index is ranked as one of the highest in the nation. A vibrant art scene as well as numerous outdoor activities, restaurants and museums only adds to the appeal. The average price for homes in this region is low, however, there is expectation of continued interest and growth due to the variety of qualities that this city has to offer. Sun Valley, Idaho is a more European-style village located in the Wood River Valley. The housing market continues to grow steadily, in large part to its charm and appeal, as well as its surge in winter traffic. Expectations for 2016 are for solid growth, especially with homes and condo prices close to a third less than other markets. Now that we have been able to take a glance on what the real estate markets have been like for a variety of other locations, as well what each location has to offer, let’s take a closer look on why Steamboat Springs remains one of the premiere real estate markets for ski resorts. The Steamboat Springs region has undergone a bit of a renaissance, and is putting Steamboat Springs as THE premiere location for anyone looking to invest in a home, condo or property near or around various ski resorts. Millions of dollars have poured in and have been invested in what is arguably the most desirable location for thousands of individuals. The number of interested homebuyers continues to grow significantly each year, and the ski resort revitalization projects have not escaped notice. Priced very well for its market, the real estate market continues to explode and looks to remain that way for the foreseeable future. What specifically makes Steamboat different from other resort markets? With a world-class ski resort right in town, Steamboat’s real estate market could command top dollars. However, in this market you will have strong purchasing power. This means the same luxury home with exquisite finishes in Aspen, Vail or Telluride, is significantly less here in Steamboat. The same applies to all levels of the Real Estate market. Steamboat is a town first and ski resort second. Steamboat is a community that takes pride in where they live. As a community, Steamboat treats visitors as guests, not tourists. Although Steamboat may have two conflicting identities between its cowboy roots and rich cultural desires, the town has managed to balance both very well. As we continue forward into 2016, The Vanatta Group is excited to be part of the incredible growth in this community as the best real estate team available to buy or sell your home.